All of the products from Rosehip PLUS are ACO Certified Organic, Cruelty-Free and Vegan. 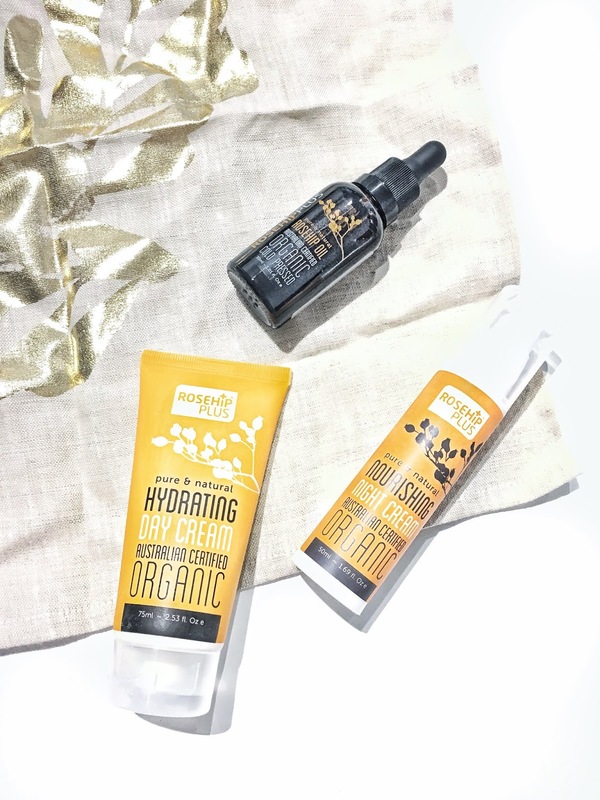 The products do incorporate Rosehip Oil which is 100% pure and natural, cold pressed and are free of parabens, sulphates, etc...(which means there are NO nasties included in them). Of course with the many benefits as highlighted above, I just wanted to see for myself what the products could do for my skin. So I've been following a skincare regime that incorporates their Day Cream, Night Cream and Rosehip Oil. After using the Rosehip oil on my skin every night, I could definitely notice my skin becoming smoother and softer. Furthermore, it really helps with leaving your skin feeling hydrated and nourished which is so ideal for Spring. The weather can dry out the skin so it's essential to replenish the skin every night with a trusty facial oil. Simply apply the facial oil onto cleansed skin, then follow through with your regular moisturiser or night cream. 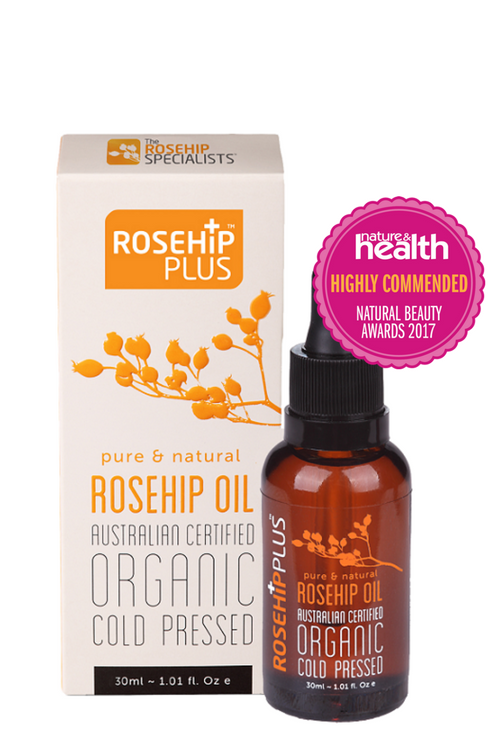 Overall, every person needs to have a bottle of Roseship Oil in their beauty cabinet. It's a great multi-purpose product for your skin especially if you suffer from any of the skin concerns as mentioned above. When it comes to facial oils, I'm all about ensuring that I apply it onto my skin every night...so that I can look to achieve a healthy and glowing complexion the very next morning. 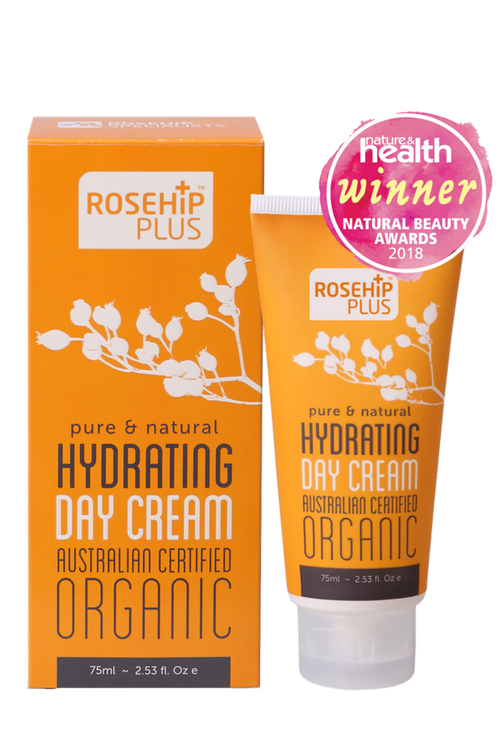 This is a wonderful day cream as it's bursting full of the essential nutrients and antioxidants which are great for supporting healthier looking skin. I felt that this day cream left my skin feeling well nourished, soft and super hydrated. I love this product so much because it feels lightweight and not too greasy on the skin which is wonderful. With continued use, you can expect a reduced appearance in fine lines and wrinkles. 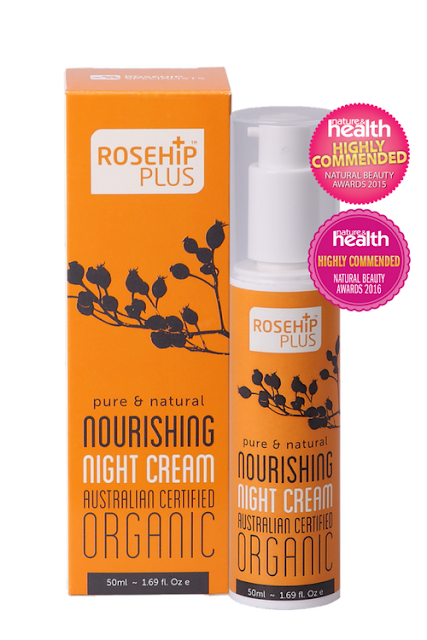 After applying on the Rosehip oil after cleansing, I'd follow it through with the Nourishing Night Cream by Rosehip Oil. It works to maintain skin hydration and softness, as well as improving the appearance of fine lines and wrinkles. I felt that this night cream left my skin feeling very soft and nourished which is essential in cold conditions. Have you tried out any of the above mentioned products yet?